In what is the first real test of the Bayesian Hierarchical Model (BHM) framework on a global scale, we have been using the framework to ‘predict’ steric sea level change on a global scale. Steric sea level change is the volumetric expansion of the oceans (and the associated change in sea level) due to density variations caused by changes in temperature and, to a much lesser extent, salinity. The idea is that if we provide the framework with observations and/or prior knowledge about changes in SSH (from altimetry), ocean floor (from GIA forward modelling) and ocean mass (from GRACE) for a common time period (in this case 2005 to 2015), then what we are left with should reflect the change in sea surface height due to steric effects. Over the coming weeks, we will compare our expected steric change in sea level with independently-obtained ‘steric’ datasets to assess whether the BHM is working correctly. Once we are happy it is, we then hope to be able to identify and explain differences from the independent datasets in terms of oceanographic signals and observational constraints. The main (independent) source of data on steric changes are from the global array of Argo buoys; 3,800 free-drifting floats that measure the temperature and salinity of the upper 2000 m of the ocean. We have obtained four steric datasets from different research groups (EN4, IFREMER, JAMSTEC and SCRIPPS) that we shall use to compare with our expected steric change. 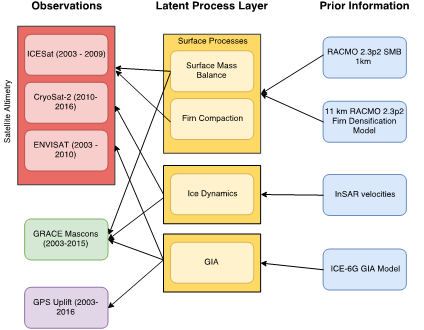 An initial aim of the land ice work package was to update the error-bounded trends of Antarctic ice mass balance obtained by the RATES project up to the end of 2016. Stephen Chuter has now updated the Antarctic mass balance time series to the end of 2015. The BHM framework gives results for the Antarctic Ice Sheet as a whole (as plotted below) as well as for 25 individual basins and other aggregated areas. 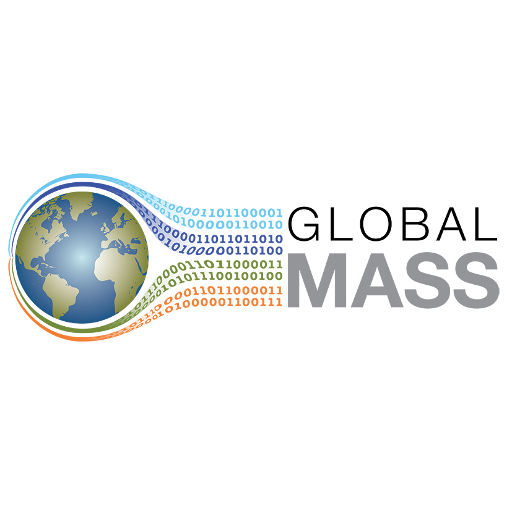 We intend to make these time series available online, but in the meantime please contact us (globalmass-project@bristol.ac.uk) if you would like further details about this work. Figure 2. 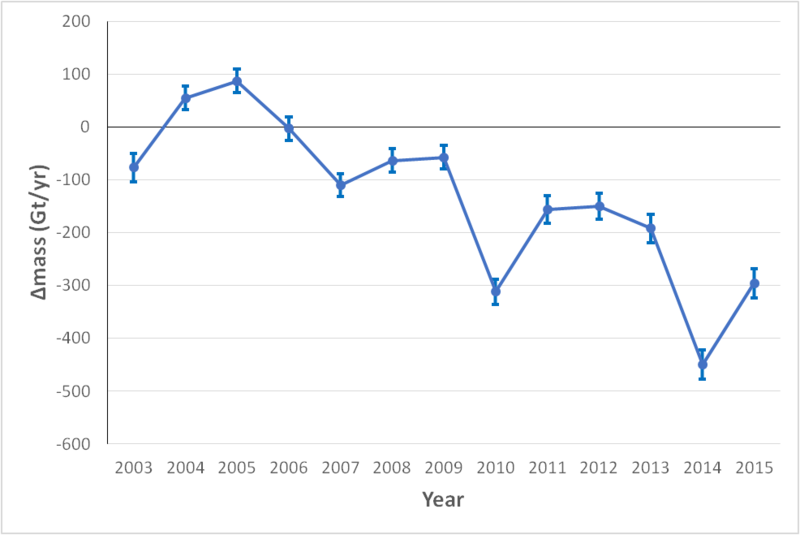 Mass balance time series for Antarctica for 2003 to 2015 (updated from the RATES project). We have submitted these results to the first World Climate Research Programme (WCRP) global sea level budget (GSLB) assessment, a work-package of the WCRP Grand Challenge on Regional Sea Level and Coastal Impacts. We have also started to apply the BHM framework developed by the RATES project for Antarctica to explore mass balance trends for Greenland. Stephen Chuter has been working to collect, collate and process the datasets that are required by the framework (Figure 3). We will update progress of this work in the coming months. 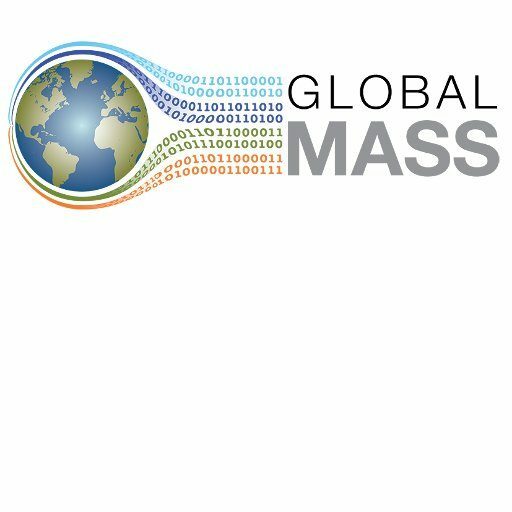 In December, GlobalMass was represented at the AGU Fall Meeting 2018 by Jonathan Bamber, and results from our work were showcased in two talks. The first talk presented William Llovel’s investigations into the mass component of recent sea level changes. The second talk outlined Maike Schumacher’s recent work establishing a global GPS dataset that provides a ‘clean’ GIA signal and is, therefore, suitable to investigate the behaviour of global GIA forward models. In January, Zhe Sha gave a talk on Bayesian Hierarchical modelling for large-scale geophysical inverse problems at one of the regular Statistics seminars organised by the University of Bristol’s Institute for Statistical Science.